Image via AirBnb. 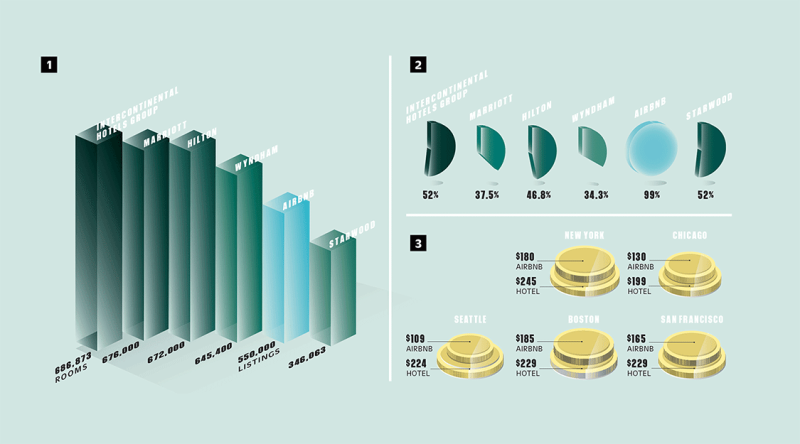 Reads: 4 Million Guests, 3 Million Guests Traveled On Airbnb in 2012 alone. But how did a few air mattresses on the floor of a San Francisco loft become the most widely-used anecdote for startup growth hacking? As they were starting out in the summer of 2008, the founders needed a way to raise money. They bought a ton of cereal and designed special edition election-themed boxes, released that fall—Obama O’s and Cap’n McCain’s, which they sold at convention parties for $40 a box. They sold 500 boxes of each cereal, helping them to raise around $30k for Airbed & Breakfast. But it wasn’t just Airbnb’s business model that posed a concern. When Gebbia and Chesky—both of whom are Rhode Island School of Design alums—were initially seeking funding for their startup, potential investors didn’t know what to make of a company with two designers, despite the fact that Blecharczyk, with a solid background in tech, had already signed on as an engineer. Chesky explains that it was hard for many in the Valley to see the company’s potential because, “they thought we just made things pretty.” Yet it was most likely this design background that helped Airbnb to find such innovative, unexpected solutions—like the limited edition presidential cereal campaign—to the very real problems that all early stage startups face. 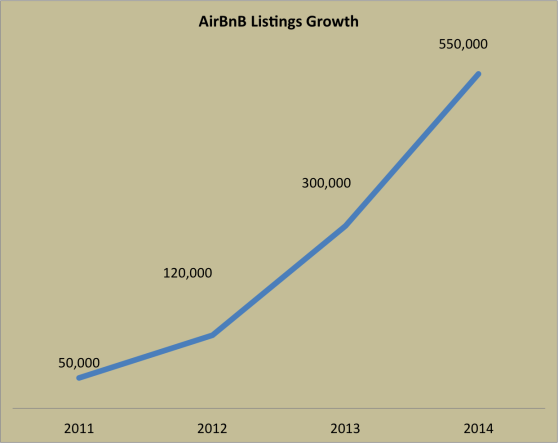 It is this ability to innovate that informs much of Airbnb’s growth strategy. It’s unclear exactly when Airbnb implemented what’s become their most famous growth hack, but there is evidence of the Craigslist platform hack as early as 2010. Though the startup worked hard to distinguish themselves from the more impersonal, scam-filled super platform, Craigslist had one thing that Airbnb did not—a massive user base. Airbnb knew through both market research and their own experience that Craigslist was the place where people who wanted something other than the standard hotel experience looked for listings—in other words, Airbnb’s target market. In order to tap into this market, Airbnb offered users who listed properties on Airbnb the opportunity to post them to Craigslist as well—despite the fact that there was no sanctioned way from Craigslist to do so. Though fairly straightforward in hindsight, the execution was anything but simple, as explained by writer and entrepreneur Andrew Chen. We’re going to touch on the high points without delving too deeply into the technical details. 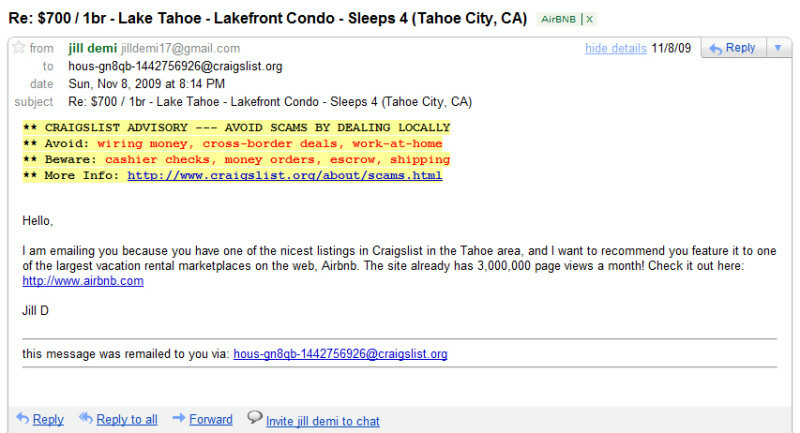 For starters, because Craigslist saves listing information using a unique url rather than a cookie, Airbnb was able to build a bot to visit Craigslist, snag a unique URL, input the listing info, and forward the URL to the user for publishing—as Rishi Shah documented in the screenshot below. 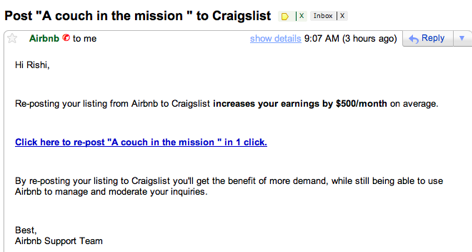 Though this hack isn’t as clever as the Craigslist platform integration discussed above—and it and it definitely constitutes spam—it certainly helped Airbnb to grow their listings quickly and at almost no cost. As Chesky explains, "We start with the perfect experience and then work backward. That's how we're going to continue to be successful." However, this applies not only to their treatment of listing photos. Airbnb looked at the characteristics users valued and worked to engineer those into the entire site. When the feature launched in 2011, Chesky also claimed that there were already 16,516,967 connections among current Airbnb members—a number that has surely grown since. 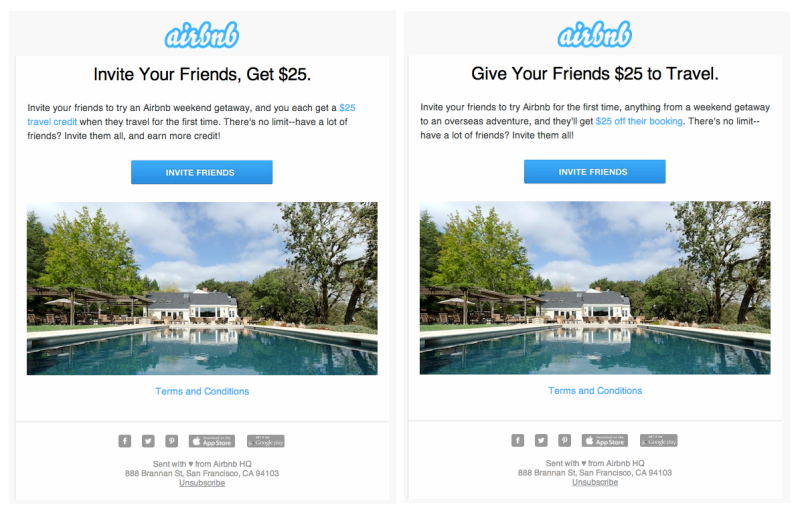 Heart vs. Star: Optimizing the Product for Engagement In the summer of 2012, Airbnb redesigned the site around a new Wish Lists feature. Just four months later, 45% of Airbnb users were engaging with Wish Lists, and over a million had been created. The Wish Lists product optimization started much smaller, however. The ability to save properties by starring them had been possible on the Airbnb site for a couple years, but the team wondered whether the function was optimized for maximum engagement. As with listing photos, they began with a test and waited to see what happened. In this case, they decided to change the generic star to a heart, and they were surprised to when engagement increased by 30% as a result of that simple change. Gebbia explains that the heart, “showed us the potential for something bigger.”  That potential was aspirational rather than utilitarian—something more than a simple accommodations search tool. "You have to have search," Gebbia told Co. Design just after the Wish Lists launch. "But what if you don’t know where you want to go?" It’s the aspirational difference between a star and a heart that led Airbnb to develop Wish Lists. Wish Lists are functional, designed to facilitate sharing and collaboration, but they also speak to the aspirational potential of the heart by helping positional Airbnb listings as content and giving users a reason to visit the site not only when they’re looking to book a room, but when work is boring or the weather is oppressive. Users can visit Wish Lists as a means of escape, browsing whimsical AIrbnb curated lists such as It Yurts So Good and Castles. Ultimately, like the site’s use of social connections, Wish Lists have helped the site to stand out among competitors. Rather than merely a place to search for accommodations, Wish Lists helped Airbnb to move toward a more engaging social discovery model. The user, who had used Airbnb as both a host and a guest since the incident, went on to accept most of the blame for the situation, explaining (much as EJ had) that he’d had a gut feeling when renting to this particular guest that something wasn’t right. Airbnb eventually gave Troy 21 free nights at up to $125 a night, restitution he was happy with. His main criticism was that, “The reason they’re able to charge these high fees is [because] they lull people into a sense of false security. If they disclosed that, people would just use Craigslist” —a point that was also echoed by EJ in her initial post. Then on August 1st, Brian Chesky issued an unconditional apology via the company blog, announcing Airbnb’s updated guarantee to cover up to $50,00 in damages from vandalism or theft, a 24-hour helpline (something both EJ and Troy noted as lacking in their experiences), and several more improved security measures. Then in May of 2012, Airbnb partnered with Lloyds of London to expand their guarantee even further, covering every booking with their $1,000,000 Host Guarantee. The company points out, however, that the guarantee isn’t a replacement for home or renter’s insurance, and it does not cover cash and securities, collectibles, rare artwork, jewelry, pets, or personal liability. Hosts making claims under the Host Guarantee must also “agree to cooperate with Airbnb and its insurers, including providing documentation of the loss they’re claiming and agreeing to inspection in the rare cases it may be necessary.”  Though the company’s initial handling of the situation was pretty poor, they certainly seem to have learned from their mistakes regarding damages and liability, and the $1,000,000 Host Guarantee is now one of the company’s greatest assets. By moving quickly to address these concerns Airbnb was able to continue growing with these incidents becoming hiccups on an otherwise frantic growth curve. With the acquisition of German knockoff Accoleo for an undisclosed amount the following month, Airbnb opened its first European office in Hamburg, Germany, to be headed by Accoleo founder Gunnar Froh. The following spring, Airbnb acquired their largest UK-based competitor Crashpadder just in time for the 2012 Summer Olympics in London. The deal stipulated that Crashpadder shut down, but Airbnb provided an extension of their 24-hour customer service, a £30,000 guarantee (this was pre-$1,000,000 Host Guarantee), and the popular professional photography option in order to persuade Crashpadder’s hosts (1,700 of whom were based in London) to move their listings to Airbnb. That same year, Airbnb opened offices across Europe, in not only London by also Paris, Barcelona, and Milan. In August of 2014, Airbnb’s Rebecca Rosenfelt gave a talk entitled “Going for Global,” in which she outlined some of the company’s recent international growth strategies. Rosenfelt began by pointing out that though people in the Valley think of Airbnb as a mature company, in parts of the world they are still more of a “scrappy startup.” She explained, “We’ve had to crack growth over and over and over again as we break into new regions.”  Part of the struggle, according to Rosenfelt, is that Airbnb is a two-sided marketplace, meaning that in every new market they attempt to enter, they have to grow both the demand side (travelers) and the supply side (hosts). As it turns out, the supply side is much harder to grow, as it takes a bit to get people comfortable with the idea of opening their homes up to strangers. According to Fast Company’s Austin Carr, the concept of hospitality used to be considered “a relic of Old World grand hotels.” Now, by contrast, the word is used so frequently that it’s somewhat of an inside joke: “You hear it in the halls: Whenever an employee holds a door open for fellow coworkers or offers to clear their plates in the cafeteria, others tease, ‘Oh, so hospitable!’”  It is this concept of hospitality that drives much of Airbnb’s current and future growth initiatives. As Paul Graham explains, "If you ask Brian now what drives Airbnb's growth, it's not that people want to get a cheaper space. Airbnb could've spread out horizontally into the sharing of power tools and cars and stuff like that. But Brian has decided the growth is in hospitality." It all started in the winter of 2012, when Chesky somehow stumbled upon a hospitality textbook from Cornell’s hotel school. The 500-page book spoke to Chesky. As Carr explains, “Airbnb would no longer be about where you stay, but what you do—and whom you do it with—while you're there.”  Since then, Airbnb has been working to suffuse hospitality throughout the entire user experience, even meeting with representatives from traditional hotel groups in early 2013. Yet, as Chesky explains, "[They didn't] inspire us or fit with our culture. That's what led us to Chip." Chesky is referring to Chip Conley, who in 1987 was 26 years old and fresh out of Stanford business school, when, despite having no experience in the hotel industry, he managed to raise $1M to purchase and totally reinvent a ‘50s era motor lodge in San Francisco’s Tenderloin district. His model was popular with younger travelers seeking an alternative to the standard family or business-oriented motels and hotels, and Conley went on to do the same with over 50 more hotels in the Bay Area and beyond, becoming one of the originators of the boutique hotel concept and creating an entire brand of Joie de Vivre hotels. After holding the position of CEO for close to 24 years, in 2010 Conley sold his stake in Joie de Vivre to Geolo Capital and entered semi-retirement. In March of 2013, after the meeting and realizing those traditional hotel reps weren’t what Airbnb was looking for, the company invited Conley to give “a fireside chat on hospitality and innovation.” Chesky says he remembers thinking, "Wow, there's a lot of things he's done that we should apply at Airbnb." Chesky and Conley kept in touch, and in June Chesky offered Conley a job at Airbnb. Though he initially declined, Chesky didn’t give up, and over dinner one night he convinced Conley to consult for eight hours a week. By the end of the dinner, Chesky had talked him into agreeing to 15 hours, and Conley, now Head of Global Hospitality at Airbnb, has become one of Chesky’s most trusted advisers. He explains, "Within a month, it was clear that nobody does anything part-time at Airbnb.” Conley’s first responsibility was to create a set of hospitality standards that made the guest experience more comfortable and reliable while preserving the unique and local flavor that each host contributes to the experience. To begin, Alströmer says they looked at all the referral data they already had, which helped them to get an idea of how the product was doing and what was working, as well as make some forecasts as to what kind of growth might be possible from an improved referrals program. They also talked to companies with successful referral programs to get a better idea of industry standards and the potential for growth with a well-executed relaunch. Though they knew it would be a challenge, they decided to redesign and relaunch web, iOS, and Android referrals simultaneously, and the five person team in charge of the project rented out an Airbnb apartment in order to work offsite and focus in on the task at hand. 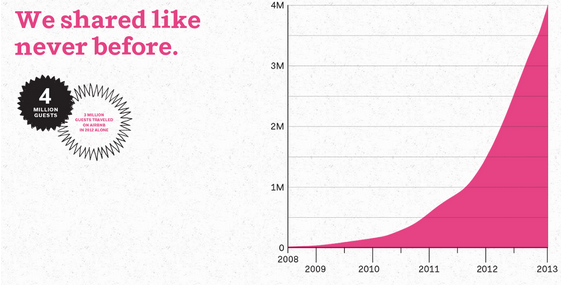 After 3 months and 30,000 lines of code, Airbnb’s referrals program relaunched in January of 2014. 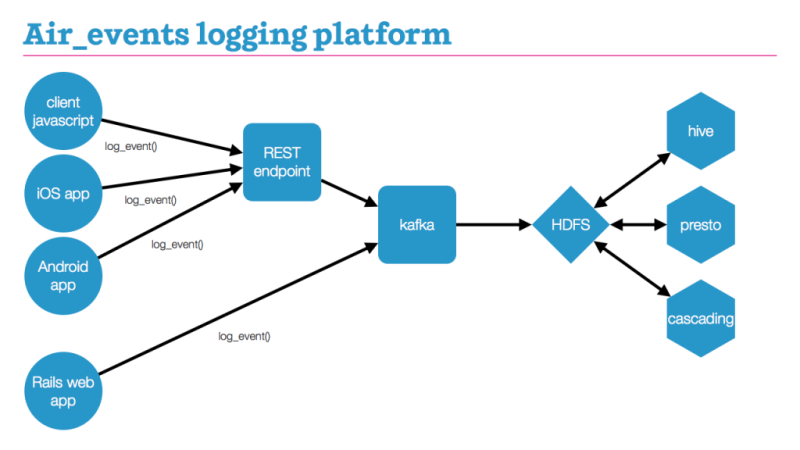 From day one, they tracked everything about the relaunch using their in-house event logging platform air_events. In April of 2014, Airbnb released data indicating that the Airbnb community, “will generate $768 million in economic activity in New York and support 6,600 jobs this year.”  They also highlighted the state law preventing Airbnb from collecting and remitting $21M in hotel taxes, asking leaders to work to change the law and allow Airbnb to do just that on behalf of hosts and guests. Yet the company may face some unlikely resistance. Despite previous concern over the fact that Airbnb wasn’t paying hotel taxes, The Hotel Association of New York City claimed that if there was a proposal to allow Airbnb to contribute $21M to New York in hotel taxes they would “oppose it, entirely.” As Airbnb acknowledges in a press release on the subject, the hotel industry’s shifting rhetoric is “just one piece of a larger issue, which is that any new legislation holding Airbnb accountable for taxes would also legitimize the Airbnb business. And that’s something the hotel lobby doesn’t want.”  This back and forth between the hotel industry, state and local government, and landlords—all of whom want their share of the action—will be Airbnb’s biggest struggle. The shifting rhetoric of both San Francisco housing activists and New York hotel lobbyists indicates that a peaceable and equitable agreement might be hard to come by. While this is well written and researched, it doesn't paint a very accurate picture of the key growth levers and strategic environment of Airbnb's growth. FWIW, no one else has got it right either as it would be hard to do from the outside. You did get one thing very right, even though you didn't explicitly define it – there was no silver bullet. The rocketship growth was driven by many interconnected activities, all with effect and importance that ebbed and flowed over time. And that the sum is always greater than the parts. 1 - 100 people executing a strategic plan that includes 30+ tactics, all executed at a high level, will almost always outperform a single tactic standing on its own (unless the single tactic is an amazing super bowl ad or something at that level). 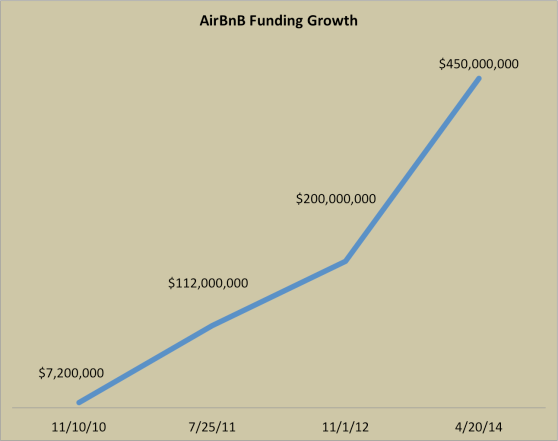 2 - her analysis is based on stuff after Airbnb reached 10M Nights/$1B+ Val, and disregards much of what got us to there. Source? I was employee #15 and #2 marketing who (among many other things) managed the international growth campaign that had us hit 10M nights 3 months after we first hit 5M nights. No dis to you or Rebecca, I've also taken Andrew Chen and Ryan Holiday to task over this stuff privately, just decided to start doing so not so privately. Hey @mschaecher thanks so much for 1) stopping by and 2) reading such a long piece! I really appreciate you taking the time to do both. I don't take offense at your assertion that it doesn't really reflect the drivers, as all I can go on is what is out there publicly. Are you able to share what some of the levers or at least the thought process was around growth early on? Or have you written about it in the past that we could update with a link? These aren't meant to be complete histories, but rather are written in a spirit of helping other growth marketers gain inspiration from successful companies, so any insights you could share with us would be really appreciated. Congrats on being a part of one of the great growth accomplishments of the last several years. I had a couple meetings with Brian and Nathan in the early days (late '08, early '09) about Airbnb growth and I never imagined that the team would overcome the early growth challenges with such success. I'm curious how much agreement there is among the early marketing team and founders of the exact attribution of the key growth levers? As you mentioned the "rocketship growth was driven by many interconnected activities, all with effect and importance that ebbed and flowed over time. And that the sum is always greater than the parts." In my experience helping grow a few rocketships, I've always found that organic growth is an important factor. Organic is largely a function of the right product in the right market at the right time. The sum of "interconnected activities" generally accelerate that growth, but isolating the exact causes can be pretty tough. Do you feel like the early Airbnb team understand and agree on the exact causes? Who tends to be the most open about sharing insights into these growth levers? Are these growth levers transferrable to other companies? 1) Improve our own understanding of how companies grow on the Internet. 2) Share and extend that knowledge with a broader community of growth professionals. Any insights that you can offer are greatly appreciated. Thanks! Thank you for sharing your comment - I both really enjoyed @morgan's writeup and agree with your reply that many case studies focus too much on what companies do once they already have a solid user base. Most of the startups I know and work with are trying really hard just to get to the first step of having initial traction. There are lot's of things you can do to drive a startup to rocketship status once you have solid product-market fit, but I think the challenge of what gets you there is much more pressing. @mschaecher would you mind sharing what helped get you to that first 10M? Man that Obama O's story is a great example of straight entrepreneurial hustle. We point to the success of the Dropbox and Airbnb referral programs, so it's always great to see more content on how it's a great growth lever for them. Another great piece on Airbnb's growth was that talk about the international expansion (posted last week) that talked about their guerilla marketing tactics in new cities and how they outperformed the Facebook ad spend by 5x. What an awesome piece of writing. Agree with the previous comments, but nevertheless this was a really good read! Bloody good article @morgan ! Wow, what a read. +1 to both Morgan's and Sean's questions. Got something that is on my mind after reading this. With Airbnb (had I been there at the start) I would have felt unsure about the growth potential given the trust issues. My question to the group is: If you have an idea with a high barrier to adoption, how do you decide if the idea is still worth pursuing? Is there some kind of indication that everything will (most likely) be all right? @sean Perhaps you would say the 40% rule/benchmark? @sky117 the 40% rule ( http://www.startup-marketing.com/using-survey-io/ ) is pretty hard with a network effect business. Until you have critical mass, the feedback is generally pretty weak. awesome post! is there a link to buy the audiobook?? Watching Brian Chesky speak at TC Disrupt in SF. Really glad I read this case study first - it really puts everything in perspective. If you liked this study, I encourage you to watch this interview. He is talking about how AirBnB puts users first and how they handled the bad PR a few years ago. What a great company. 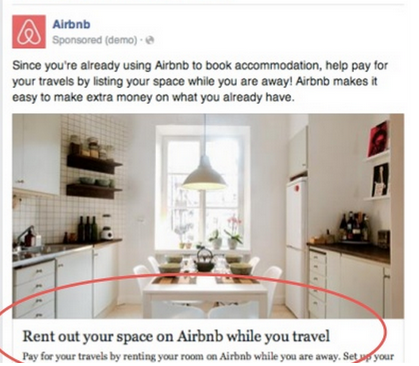 I agree that Airbnb got so much buzz exactly because it's an uncomfortable, but compelling concept. 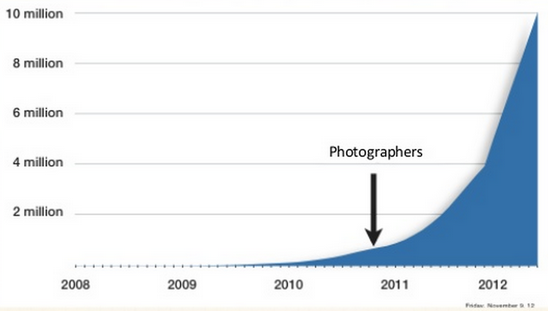 I think Paul Graham's quote, “I thought the idea was crazy. … Are people really going to do this? I would never do this.” is classic! It's also indicative of the biggest challenge with starting a new business: some of the most compelling ideas are deeply uncomfortable to the people who fund them! To me, the takeaway from this story is 1) get an edgy idea; 2) test it out; 3) use unconventional, relentless marketing to get it out there. I love the non-traditional marketing techniques detailed! Thanks for the article - very well written! AirBnb have surprised me! A very good strategy! This article is amazing. With a word count of 8794 words this article is very detailed and informative. The author made a great job! They have a very inspiring story and so many specific lessons can be learned from witnessing how they accomplished what they have thus far. The controversy around the topic definitely did play a role in the word of mouth marketing of the business.Even if someone is against the concept when they bring up the business they are still getting the name out. And it provides an excellent base for discussion. 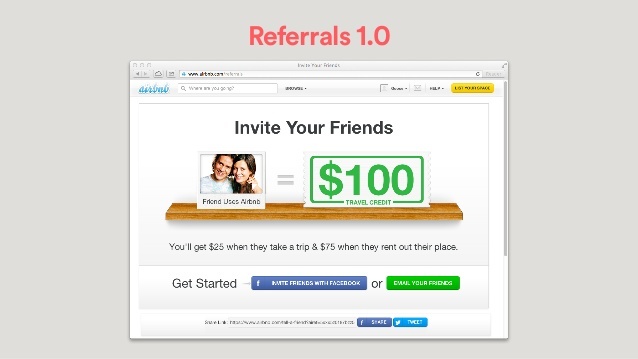 The referrals programs they implemented were brilliant, "Give Your Friends $25 To Travel" is some great copy. And an opportunity that's difficult to pass up. Thanks for the interesting and educational read Morgan. This is a very complete article that does an excellent job of illustrating the Return On Key Component™ Method. In this example, the AirBnB's "key component" is well designed and engaging web platform that does an excellent job of managing a marketplace for those offering lodgings and those seeking lodgings. The company did an admirable job of building a website to manage the processes and risks associated with such a marketplace, and those that could not be managed by the IT infrastructure are handled manually. Like other collaborative consumption platforms, on the one side there are people who have non-performing assets and on the other people who want to use them. The uncertainties on both sides of the market are reduced thereby making the service valuable. However, AirBnB should not lose sight of the fact that it created efficiencies in the short-term rental market and not in the traditional hotel market. Encroaching on this legacy market is expensive and the payback will be limited as all this litigation illustrates. As a matter of fact, I don't think think the author, Morgan Brown, should have illustrated the article with comparisons to the hotel market as it would be much more telling to see the shift in ads for the short-term rental market over time. Nonetheless, excellent article. What a success story. The had a visionary idea, distinguished their value proposition and ba-da bing they hit it big! I've been following the Airbnb story for a while and this is by far the most legit recollection of their growth hacks, strategies and tactics since inception. Incredible job with this Morgan. Will def be sharing this with friends!! Awesome life and business project. The most important thing is how airbnb learn about users needs and how they make decisions and improve in the way. Thanks for sharing the hole story and huge success. Really good read on Airbnb. Thank you for putting this together, it's a good read. I agree with the comments, the early footwork and challenges before the user base is established is where a lot of the most interesting events happen. Getting to the point of receiving more complex and challenging feedback from the world is an exciting place. Thank you so much for putting this together. What a great business project! very informative article. That part about poaching CL ads; some people may call it "black hat", but it was a clever way of ensuring growth in their "supply". I really enjoyed this article and would like to reference it! I work for the IDM and we are currently working on updating one of our qualification products- The IDM Professional Diploma in Digital Marketing. I came across this and would love to reference to is but need your express written permission that it is ok for me to do so as our content sits behind a password protected log in. All references are Harvard Sytle referencing and we will link back to you and the article. Please let me know if this is possible and whether you need any more information! Thank you for this 'not so short' write-up. Really appreciate the efforts you have put into. Great for my ongoing research! I need to know when this source was published in order to be able to use in my Extended Essay. When was this source published? It would be greatly appreciated! This was published on Sep 4 '14. I’m Jonathan Wenger by name. I live in Germany, i want to use this medium to alert all loan seekers to be very careful because there are scammers everywhere.Few months ago I was financially strained, and due to my desperation I was scammed by several online lenders. I had almost lost hope until a friend of mine referred me to a very reliable lender called Mr.Eric Sanchez C.E.O of CLIENTLE LOAN COMPANY who lend me an unsecured loan of $85,000 under 2hours without any stress. If you are in need of any kind of loan just contact him now via: clienteleloanptyltd@gmail.com I‘m using this medium to alert all loan seekers because of the hell I passed through in the hands of those fraudulent lenders. And I don’t wish even my enemy to pass through such hell that I passed through in the hands of those fraudulent online lenders,i will also want you to help me pass this information to others who are also in need of a loan once you have also receive your loan from CLIENTLE LOAN COMPANY i pray that God should give him long life. First comes the product which fulfills demand, second comes marketing or growth hacking. Thank you! Great piece of work and a thorough recount of the Airbnb journey.